Wildlife corridors connect habitats so that wildlife can move between areas. 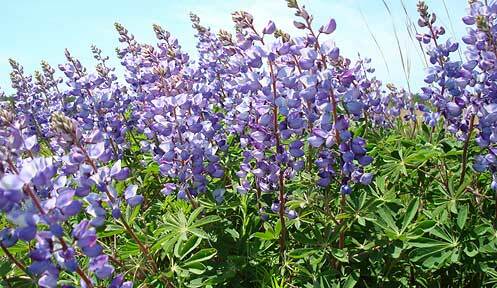 Wildlife corridors are critical for the conservation of wildlife in New Hampshire. The loss of wildlife corridors may result in direct mortality, habitat fragmentation, and barriers to dispersal. More specifically, mortality can affect the dispersal and viability of isolated populations, and eventually cause local extirpation. At greatest risk are slow-moving species (e.g., reptiles and amphibians), species that depend on high adult survivorship (e.g. turtle species), species that are long range dispersers (e.g. bobcats, American martens, wolves), and species with scarce populations (e.g. timber rattlesnakes). 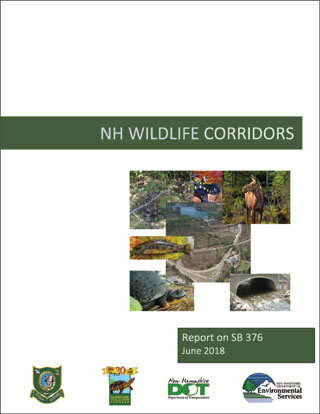 In 2017/2018 the NH Fish and Game Department (NHFG) partnered with the NH Department of Transportation (NHDOT) and NH Department of Environmental Services (NHDES) to research wildlife corridors in New Hampshire and address Senate Bill 376, an act relative to wildlife corridors. The research topics included identifying (1) existing and needed wildlife corridors, (2) voluntary mechanisms that affect wildlife corridors and (3) any existing statutes, rules and regulations that affect wildlife corridors. To identify existing and needed wildlife corridors in New Hampshire, the Wildlife Corridor report planning team compiled and summarized numerous on-going and completed efforts. Some of these efforts have modeled wildlife corridors, based on land-use, to create maps that show habitats linked by wildlife corridors. For example, the NH Wildlife Connectivity Model predicts wildlife connectivity zones and identifies both key areas for land protection efforts and strategic locations for restoring connectivity. Other efforts to identify existing and needed wildlife corridors have included field research looking for tracks, camera-trapping, reports of sightings by the public, and checking the connectivity at culverts and bridges. Many regional conservation plans use these mapped corridors to highlight connectivity as a land conservation priority. Voluntary mechanisms that affect wildlife corridors include land conservation and management mechanisms (fee acquisition, conservation easements, cooperative management agreements, current use program), technical assistance opportunities, and available land acquisition and restoration funding. In New Hampshire, there are limited regulations pertaining directly to wildlife corridors.